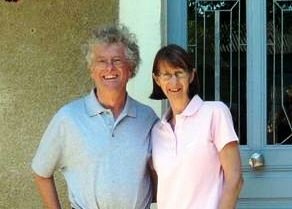 We are Steve & Judie Burman and for over twelve years, we’ve lived and worked in the Vezere Valley, France providing very special, small group Caves & Castles Tours - our Cave Art Tour is the most popular and it's not surprising, it takes in Lascaux 2, Lascaux 4, Font de Gaume, Les Combarelles, Rouffignac, Cougnac and more! Steve is a medieval historian and archaeologist – a perfect background to help our guests get the best of their stay. There’s over a thousand chateaux in Perigord as this area of France is called. And it’s a real hot bed of decorated caves. Lascaux is possibly the best known – there are now two facsimiles – Lascaux 2 and Lascaux 4. Very different styles of presentation, but both amazing. They’re incredibly accurate and the materials and techniques used were just the same as the original artists – our ancestors. Both are extraordinary achievements and will take your breath away. Caves and Castles are members of Slow Travel Tours, an informal affiliation of small-group tour operators who offer personalised trips in France, Italy and other European countries. Check out our Slow Travel Tour Blog to find out more about the various Tours available. The Itinerary for our small group Tours runs from Monday to Friday as this works well with openings times of the various sites. It takes in all the major sites including Lascaux 2 & 4, Font de Gaume and Rouffignac for example. Our Cave Art Tour is without doubt, our most popular. But perhaps it isn't what you want? Our Tours aren't rushed, but perhaps you want to be sure you can go at your own pace? You would like a longer or shorter Tour. A Custom Tour is the answer. If you have just one day available, a day with Steve will ensure you make the very best use of your time. And you will probably want to come back once your 'appetite has been whetted'!